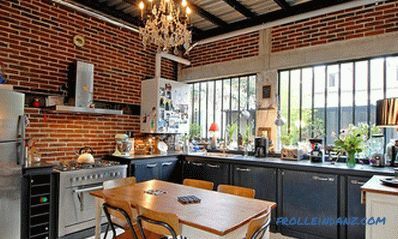 The heating system in a private house plays an important role, since it is possible to live all year round in such a building. To perform such work, it is necessary to carry out a project, which can then be oriented during the work. 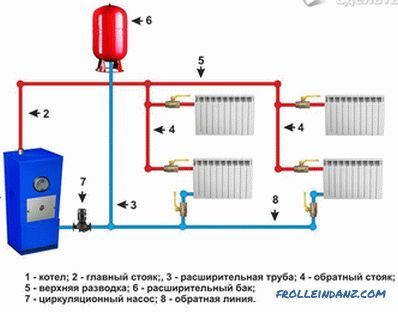 According to its principle of operation, heating systems are divided into compulsory and natural. 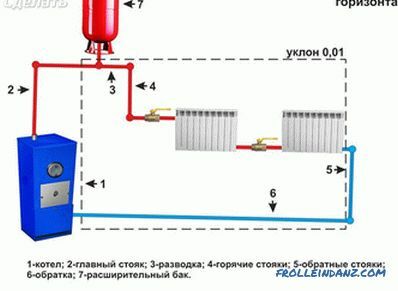 In the case of the usual coolant supply, the process is carried out according to the laws of physics, otherwise, a pump is provided in the design circuit. The natural movement of the coolant occurs according to the principle - warm water after the boiler rises, cooled down - goes to the bottom of the system. 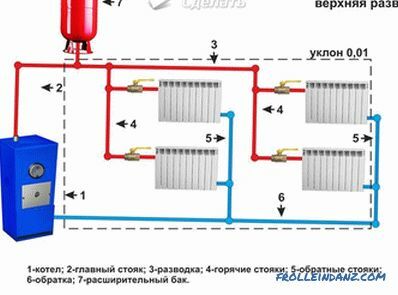 In fact, the circulation takes place according to simple laws: the heated water after the boiler moves through the heating pipes, reaches the battery, transfers heat to the rooms through their surface and returns to the boiler in cooled form to repeat the circuit. If heating is planned using a pump that will perform forced circulation, then it should be installed at the return point of cold water to the heating boiler. when installing the supply and return pipes have different diameters. The supply pipe must be of large cross section. The pipeline is laid on a slope. Due to this, water moves by gravity from the expansion tank to the radiators and further to the boiler. Independence from external factors can be singled out among the advantages of natural circulation. In addition, there will be no need to purchase expensive pumping equipment, the work of which will cause increased pressure, due to which it will be necessary to install safety valves. It must be emphasized that arranged heating can be both open and closed. In the first case, the air has the ability to come into contact with the heating medium. With a closed system, this is excluded. Due to this, oxygen does not get into the coolant, which contributes to increasing the durability of metal elements. 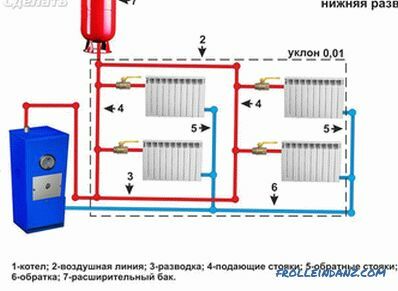 In the open version, air is present in the expansion tank, therefore, the pressure in the system is equal to atmospheric. It should be noted that an open network with the natural principle of water circulation is distinguished by safety and simplicity. And for the device of a closed cycle heating of country houses, this scheme may well satisfy the owners. Moreover, over time, it is easy to convert it into a compulsory one, if there is a need for it. To do this, you will need to install a pump for circulation and, if necessary, replace the expansion tank . When installing the heating system, it is imperative to ask which scheme to choose - single pipe or two pipe. 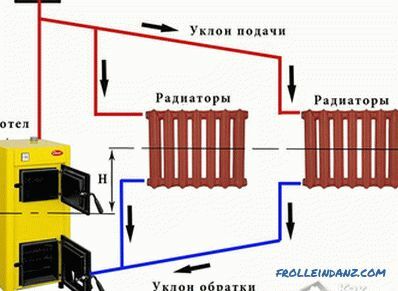 The first option provides for the serial connection of radiators, in which water, as it passes through the pipeline, gradually releases heat through the batteries and cools. In the second variant, the heaters are independent of each other, therefore the degree of their heating is approximately the same. The single-pipe system is much simpler and cheaper than the alternative one. This applies to the materials used, costs and installation. The two-pipe system has other advantages. It is suitable for different conditions, therefore, more versatile than the previous one. In addition, heating is more efficient. One of the defining moments in the installation of the heating system is the selection and installation of the boiler heating. It should use fuel that is most suitable for certain assessments for a particular region. This may be gas, solid fuel, electricity. The price of these resources in different regions is different. 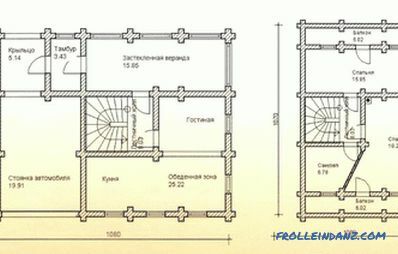 In addition, it is necessary to take into account the dimensions of the rooms, the material of the dwelling, the climatic and geographical strip. 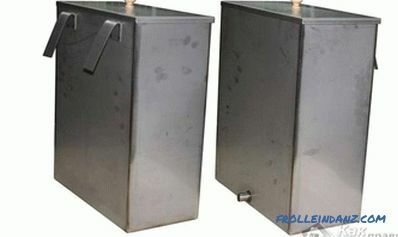 The most popular is water heating, as it is suitable for heating various buildings of various materials. It is only important to correctly calculate the system under certain conditions, then the mounted network will give off heat in the maximum amount. 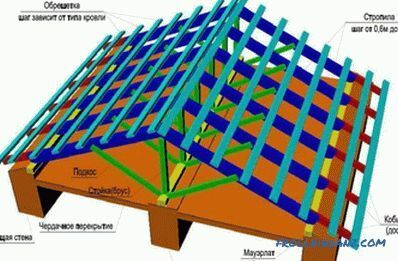 Before installation, it is necessary to make a project in the form of an axonometric scheme on which the wiring should be applied and all structural elements should be indicated. 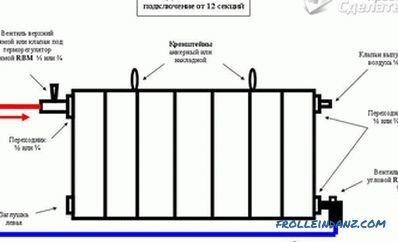 When calculated per 3 m² of area, one section of the radiator should fall. There may be unforeseen problems in the network, so you need to add 20% to the calculated indicator. The system will work more reliably. Installation begins with the preparatory work. These can be attributed to the trickling of holes for pipes in partitions and finishing niches in which the batteries will be installed. 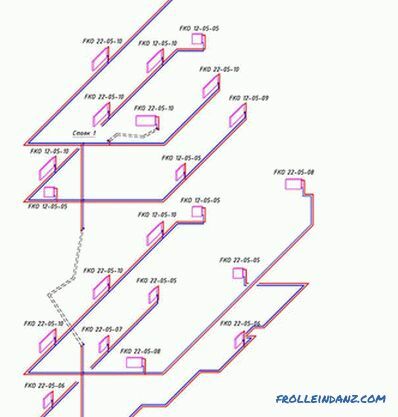 Then the supply and return trunk lines are drawn, the parts and components provided for by the project are installed. If heating of the attic is conceived, collector distributors should be installed. The next step is to mount the radiators. For their more efficient operation, behind the batteries, the material from the foil is fixed on the wall to direct part of the heat flux into the room. The taps, taps and fittings are connected to the batteries. Prepared pipes are connected by flushes and fittings. 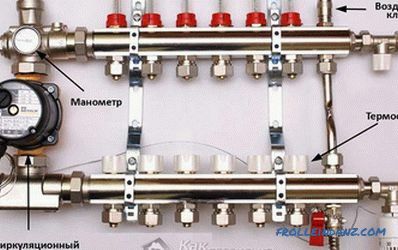 The main pipelines are connected to radiators, a heating boiler, other elements of the network and, if necessary, to the pump. If the circulation is natural, then all the taps open and the network is filled with water, while air is displaced from the expansion tank. 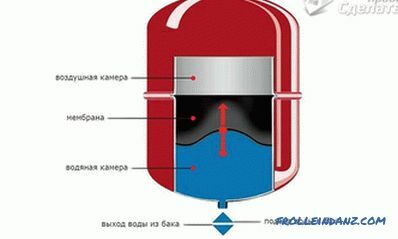 After the system is filled with water, the latter will fill the tank to a certain point. Water in the filled system should stand for about half an hour. If there are leaks, they must be eliminated. At the end, the boiler is turned on, the water is heated to 70º C and the network is re-checked. If there are no leaks and the system functions as expected, we can assume that the work is over. How to make a water-heated floor.